With the exception of the vocals, the drums are the most important instrument in any song. Studies from Bristol University have shown that songs in the charts are becoming more and more danceable. In other words: Not being able to write for drums is a HUGE shortcoming producers/songwriters can't afford anymore if they want to be able to write commercial music of any kind. I have been writing my own drum parts ever since I started making music (and without ever being a drummer myself). 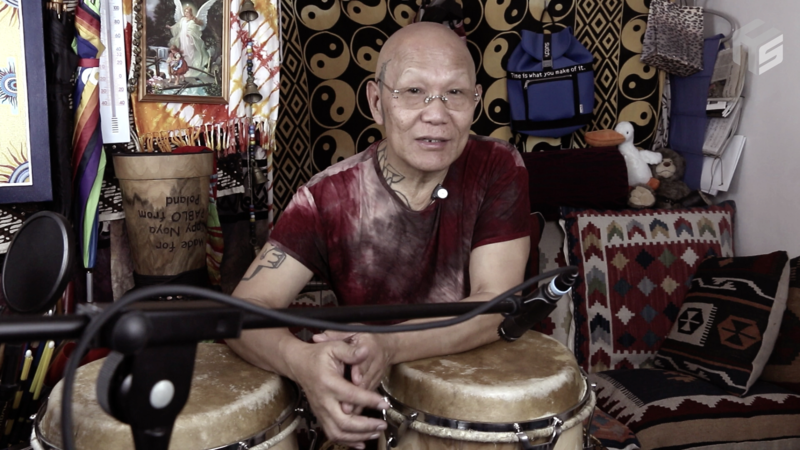 I am completely self-taught - from listening to hit records, talking to professional drummers, reading books and lots and lots of experimenting. No matter if you want to work with a real drummer or program your drums yourself, this 4-hour workshop will show you how to do it (and a lot more). ...the most famous drum groove in the world - we break it down step by step until you know its ins and outs. ...how exactly a groove is played. 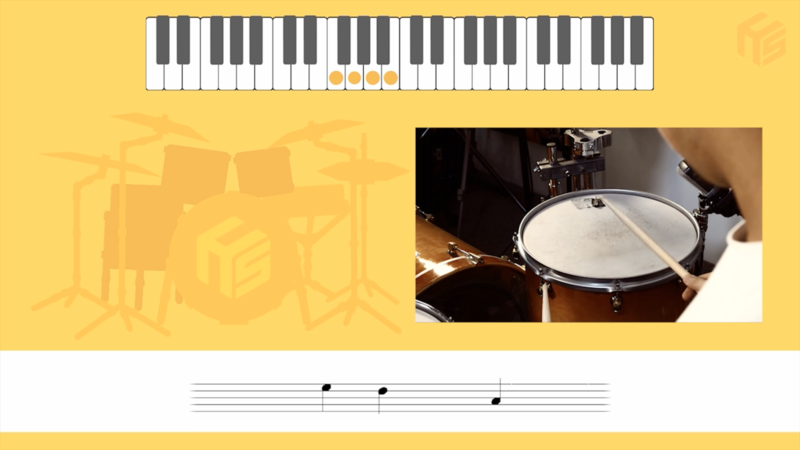 Understanding basic drum coordination will help you figure out the possibilities and impossibilities of drum part-writing. Never write an unplayable groove or fill again! ...a step-by-step method of writing for snare, kick drum, hihat and hihat pedal. Learn how the pros would do it and write parts that groove like a mother and are fun to play! ...what European and African music have brought to our Western Pop music and why both are important in modern, commercial songwriting. 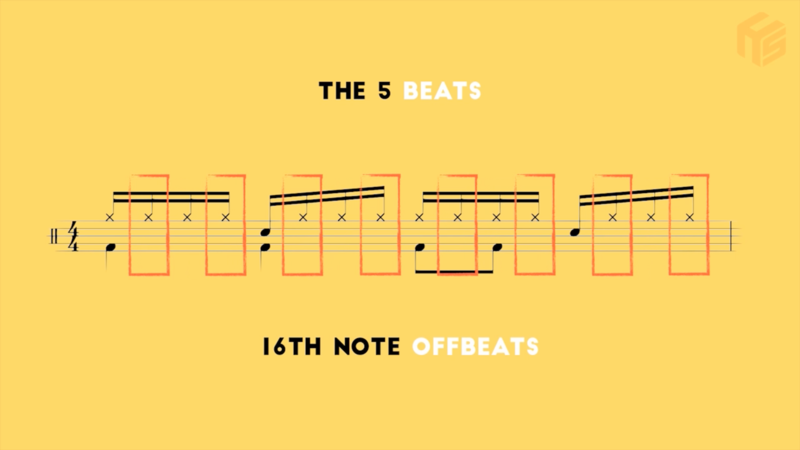 If you've been writing drum grooves for a while you might be in for a surprise! ...how to identify and tap 5 important tempos any time, any place. After watching this section you'll never forget these again! ...spotting grooves and fills that are impossible to play at a glance and how to fix them - this is where knowing your drum coordination really pays out! ...the 5 aspects of Groove Weight and how to use them to write grooves for any style or type of song. If you ever wondered how to figure out which groove to pick for your song, this is gonna be a HUGE for you. ...how to use Standard, Double and Half Time, and how they're different from Standard, Double and Half Time Feel. ...the different types of fills, how to tell them apart and when to use them. There are few things more useful for creating tension than using drum fills. After following this workshop you will be able to write tons of very different fills for different situations. ...the Do's & Don'ts of writing a full drum score. Mess this up and your drummer will be annoyed for the entire recording session. ...where to place fills using the "Rule of 4". ...become a master of elegant drum writing by learning how to prioritize some notes over others and why. After following this course you'll never write another note without knowing its purpose again! ...the 3 types of hits/punches/kicks, how to distinguish them and when to use them. Nothing sexier than a well placed kick in the rhythm section! This is a workshop, not a lecture. The program includes several PDFs for you to print out and fill out after watching a set of lessons. We then go through the solutions together, so you can see my thinking behind my answers. There is also a score system and a prize at the end of the program for those who paid close attention. See it as a fun little game to give you an incentive to keep watching and to keep paying attention. Nippy usually costs $400 per hour, but you're getting his thoughts on rhythmic shapes and alpha beats for FREE if you enroll today! I know that you will love "Drum-Writing For Non-Drummers" - There is nothing out there quite like it and it is the most in-depth drum-writing course on the planet. But let's say you enroll and halfway through the program you decide you don't like the color yellow. In this case, just contact me within 30 days at me@holistic-songwriting.com and you'll get a 100% refund. In other words, it can't hurt to try! Test the workshop and see if it works for you. And if you doesn't, for whatever reason, just ask for a refund. I guarantee that these Testimonials are real and not altered by me in any shape or form. 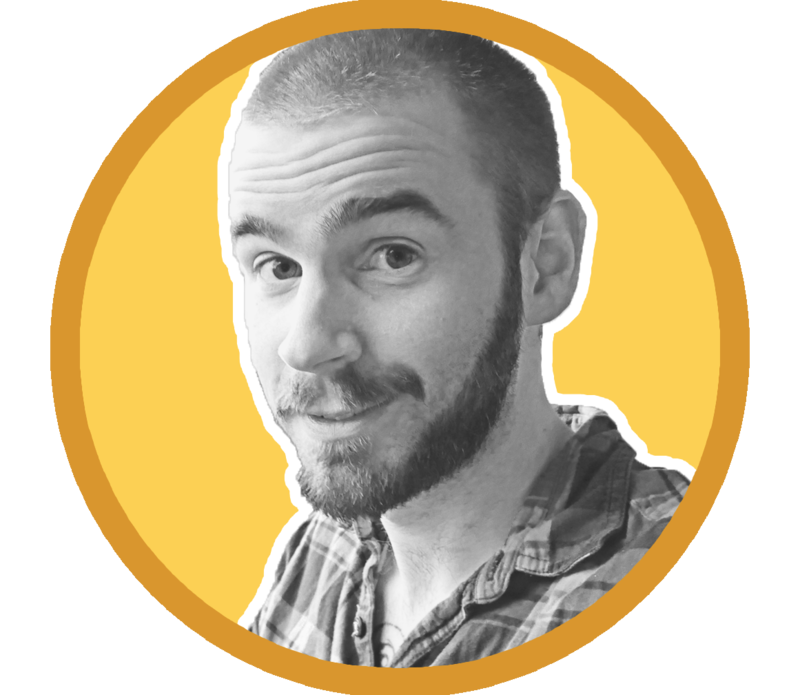 "As a songwriter, arranger, and composer, I wanted to severely brush up on notating drums. I know when drums sound good and when they don’t, so I’ve often kept it to the basics when writing drums. As I’ve progressed with my songwriting, I felt it appropriate to gain a better understanding of how to write drums that have a real groove to further enhance my songs. I enrolled in Friedemann’s self-paced Drum-Writing for Non-Drummers course and I’ve been blown away by the knowledge I’ve gained. I have a much better understanding of how to write better grooves. If you want to learn how to communicate with a drummer and how to properly notate drums on a stave, I recommend taking this course. You’ll be well on your way to producing better music." - Brandon S.
"Hey Friedemann. I'm loving the course! You've done a fantastic job. I'm off for a short break holiday tomorrow for a few days and really excited to be working through it. My goal is to significantly improve my programmed drums and from what I've seen in the course so far, I've learn't loads." - Les D.
Friedemann Findeisen is a music profiler, songwriter/producer and teacher. After spending some time at International Music College Freiburg, Friedemann realized that he had made a mistake studying jazz guitar. For two years he had spent every day trying to improve his playing technique - with no success. Rehearsing scales was not his thing. Instead, under the radar of his teachers, Friedemann wrote songs. When he barely made his final guitar exam and his composition teacher (and creative director of the school) Bernhard G. Hoffmann heard his songs and told him "There is nothing more I can teach you", Friedemann quit the program and moved to the Netherlands. Here, he studied MediaMusic and his songwriting exploded. In the following four years, Friedemann played in front of over a 100,000 people with his band, conducted his music in front of a live orchestra, was featured on prime time television, won two composition awards, had his music going to Cannes Film Festival and worked for some of the biggest names in the industry. He has received recommendations from songwriters Erwin Steijlen (Pink, Shakira) and René Merkelbach (Within Temptation), orchestrator Conrad Pope (The Hobbit, Harry Potter) and composer Jeff Rona (Traffic, God Of War III). At 28, he now has written a best-selling book, has over 100,000 subscribers on YouTube and does music profiling for some of the biggest producers in the country. Is this course self-paced? / When does it start and finish? When do I get access to my course? No matter which payment plan you choose, you get immediate access to all classes. I can't read music / I'm only a beginner. Can I still learn something here? Yes, absolutely. 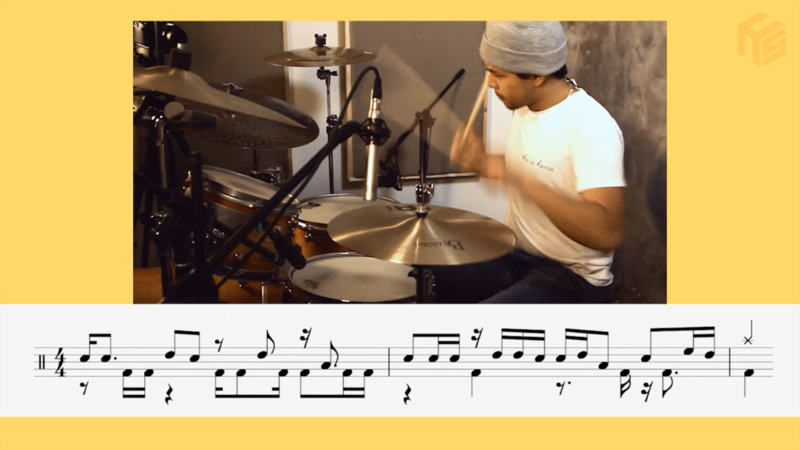 All notation is explained in intricate detail so even a beginner will be able to write professional drum scores after following this course. If I have a question about something in the course, can I write you? Can I use the drum grooves in the workshop for my own songs? Yes, of course! If you don't want to write your own grooves, feel free to copy whichever grooves or fills you liked in the course! Does it matter how I pay for the course? No - you get the exact same thing no matter the payment plan. In each case, you get instant, life-long access to all the videos. The only difference is how much you pay exactly (you get discounts with certain plans) and whether you make a simple one-time payment or several smaller payments. Pay for it once and never again! The cheapest option. Highly recommended. Can't afford the one-time purchase? Use this! You still get instant access, of course.